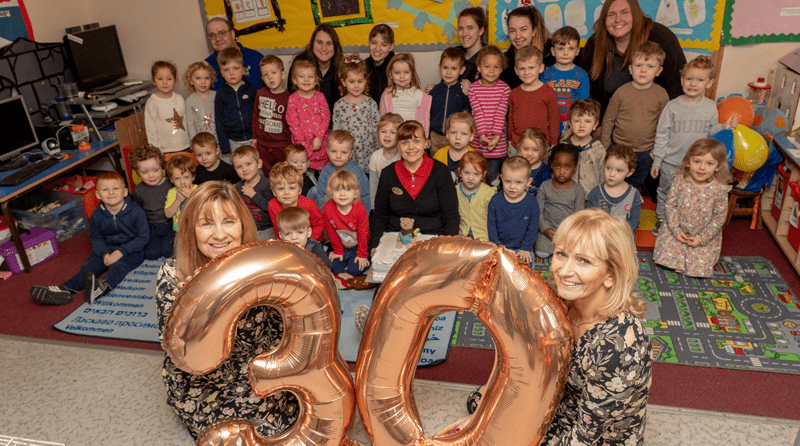 First Class Day Nursery celebrated its 30th birthday this month. The manager of the nursery, Helen Bellany, said to the Echo news: “I’ve been here over the last 20 years and it has been fantastic to see the nursery grow in that time. “Throughout this, we have had some amazing achievements, like receiving an ‘outstanding’ from Ofsted and winning a business award. Children and the staff celebrated the occasion with a party and a birthday cake. “We are so proud to have had the opportunity to have held their little hands and shaped the developing minds of two generations of children,” said the nursery’s proprietor, Ginny Baker.